There’s nothing like a flute of bubbly goodness to celebrate, even if it’s just to cheers to another weekend. Not all fizzy wines are created equally, however. Just like Champagne from Champagne tastes in no way like a sip of Lambrusco from your local Asda, some places have a knack for making your fizz really pop. And they just happen to be incredible holiday destinations. We’ll cheers to that! While everyone looks to drink Champagne in France, it’s not the only great tasting wine you’ll find in this region. Those in the know have discovered the sparkling wines of the Loire Valley. After Champagne, it’s the largest sparkling wine production region in France. Its deliciously crisp Crémant de Loire and sparkling Saumur and Vouvray wines take centre stage. The taste is worth the flight to France. Head to the Château Gaudrelle in the heart of the Loire Valley. 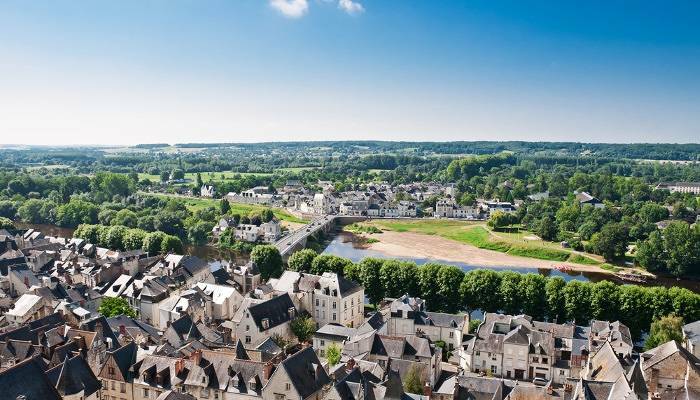 You’ll get to enjoy a bubbly-filled flute with a view – the vineyard overlooks the beautiful Loire river. Cava – the Spanish version of Champagne! While produced in the sun-drenched fields of Catalonia, it’s Barcelona that really offers the greatest Cava in the country. Sip on this fruity treat at one of the city’s many charming Cava bars. Try El Xampanyet near the Picasso Museum in Ribera – their tapas are delicious too! 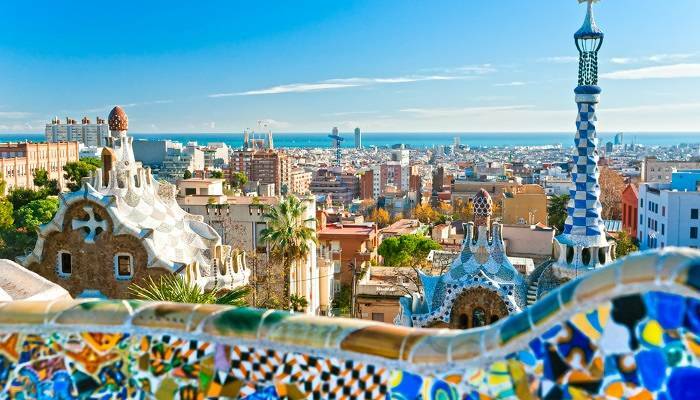 For those heading to on holiday to Barcelona for some much-needed winter sun, you’ll notice the locals love to bring out their best Cava during the festive season. A four-kilometre drive from Barcelona, pay a visit to the family-run Cava Llopart for the freshest Cava you’ve ever tasted. With leafy fields and the Montserrat mountains in the background, you may want to make a day of it. Lighter and sweeter than Cava is the ever-popular Prosecco. Italy’s greatest sparkling wine is produced in the northern region of Veneto and Friuli Venezia Giulia but you can holiday almost anywhere to get a taste. 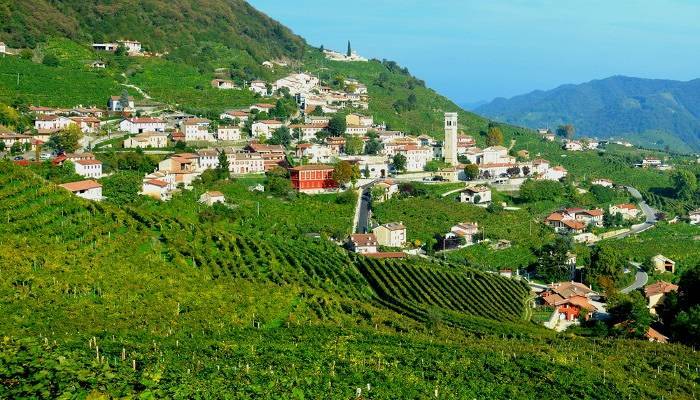 Fly to Venice and make your way to Valdobbiadene, the capital of Prosecco country. There are countless sprawling vineyards which serve up dreamy lunches alongside wonderfully chilled glasses of Prosecco. Osteria Senz’Oste is a true example of good things coming to those who wait. In this case, the waiting is you trying to find this secluded spot. Just a tip – ask for directions in Santo Stefano as there are no signposts. You’ll soon realise why this ancient stone cottage was named ‘osteria without a host’. With no one behind the bar, customers are trusted to serve themselves Prosecco and food, leaving payment in the wooden box before they leave. Sit on the terrace with stunning views of the surrounding vine-clad hills and count yourself lucky. 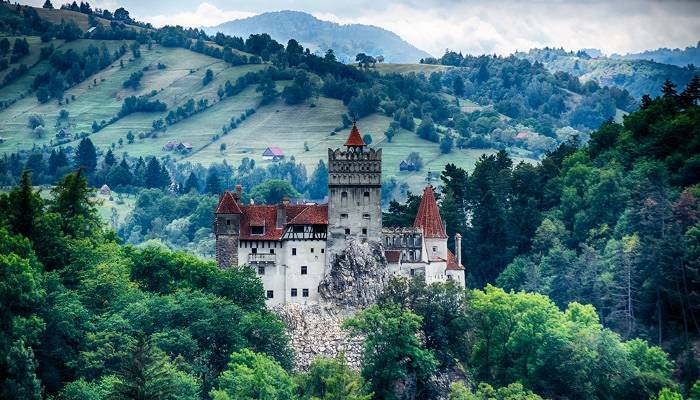 Romania may be renowned as the place where the myth of Dracula was born but its rolling countryside also contains vineyards that produce some astoundingly good wine. From Tarnave to Azuga, tourists fly to Romania to try the region’s fruity, sparkling creations. In fact, it’s one of Europe’s leading wine producers! One of the largest Romanian vineyards, Panciu has existed since the 14th century. It was where Romania’s first sparkling wine was produced! With that much practice, you know it’s going to taste good. A holiday to California is a must – Napa, Sonoma, Marin and Mendocino are all renowned for producing some of the world’s greatest wines! Not only that but it’s home to some of the finest sparkling wine producers that give even the most prestigious Champagnes stiff competition. 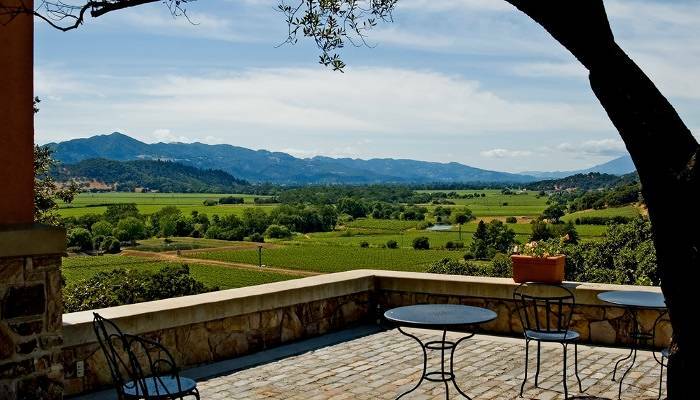 Napa Valley’s historic Beringer vineyard is stunning. The centrepiece of the expansive Victorian property is a 17-room mansion, complete with beautiful stonework and stained-glass windows. Sip on an effervescent pink Moscato and, if you’ve timed it right, there’ll be some live bands performing on the promenade in front of the Old Winery. With over 60 designated wine regions, you won’t struggle to find a place that serves a tasty glass. Barossa Valley and McLaren Vale are some of the world’s oldest Shiraz vineyards, a crisp Sauvignon Blanc can be found at Margaret River, and Sydney’s Hunter Valley hosts countless winery events – take your pick! 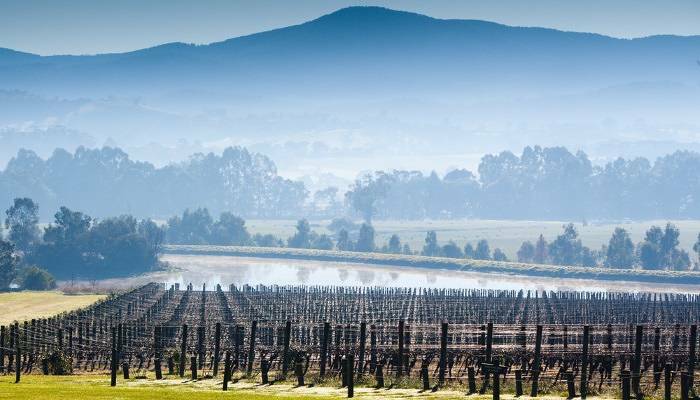 For sparkling wines, however, Yarra Valley near Melbourne is the place to be. Home to more than 80 wineries, it’s famous for creating Australia’s finest fizzy feats. Domaine Chandon has leafy vineyards as far as the eye can see – and it produces some of the best sparkling wine in Australia! Made from the same grape varieties as Champagne, it also features Shiraz. The winery’s insanely delicious food will help soak up some of the alcohol you can’t resist. Austria is an up-and-coming sparkling wine destination, giving everyone a run for their money, including France. 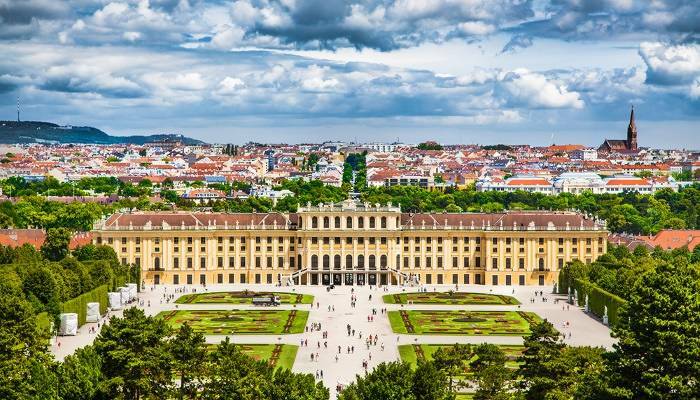 A holiday in Vienna is almost synonymous with drinking wine. This is a country who often hosts their wine events in castles, such as the Hofburg – they know their wine deserves to be celebrated! Plus, all their vineyards are within the city parameters, making it one of the few in the world that have an entire wine region downtown. Vienna’s Schlumberger sparkling wine cellars are in the city’s 19th district. The 300-year-old maze of romantic cellars span across several kilometres. After having a wander, sample Sekt, Austria’s greatest answer to Champagne – you won’t be disappointed.